Digital transformation has changed B2B sales for good. The impact of digital has fundamentally changed business models across UK industries over the last 10 years. Emerging technology and slick, digital platforms have empowered companies to interact with their customers in a variety of channels. It’s no longer an option to use digital channels to reach customers – it’s essential. And, pharma is no different. Reports from Fuze say that Millennials became the largest generation in the workforce in 2016. Today, they represent 35% of all workers. And their expectations of business communication is shaped from their B2C experience. Whilst B2B has had to play catch up with B2C, Pharma has been lagging even further behind. With some companies nervous to break with tradition, and others bolting digital strategies on to an existing model, there have been varying levels of success. McKinsey continues that this modern approach to B2B sales is “data-driven, enabled by digital tools, underpinned by advanced analytics, and focused on really understanding the ‘what, why, and when’ of the customer”. Companies that have adopted new, digital modes of communication have started to pull away from their competitors in terms of revenue and growth. According to Forrester, the decline of field sales across B2B industries, reflects the robust growth of inside sales and digital channels – which should come as a warning sign to those pharma companies not already convinced. What can pharma do to keep up with B2B digital trends? It appears that in an industry consumed by stringent regulations, the over-cautious approach to digital has been intensified by a fear of reprisal. Add to this the trepidation of taking a supposed career risk, and it’s clear to see why digital progression has been side lined for traditional, tried and tested, field sales. However, it’s also important to consider that, despite the decline in field sales across B2B industries, this doesn’t spell the end of road sales representatives. Sales professionals need to be optimised with technology, but critically, they also need to buy-in to the multi-channel concept. It’s not enough to just bolt-on digital platforms to a tired and outdated model. For commercial success, companies need to adapt to change and develop a new strategy with digital at its very core, or risk losing ground to more progressive competitors. Not only can digital and technology advances impact the expectations of our customers, and the channels we use to sell to them, it also enables pharma companies to work smarter. By harnessing industry data and utilising the latest intelligence, sales teams can be flexibly deployed with real-time project analytics, so all decisions are data-driven. 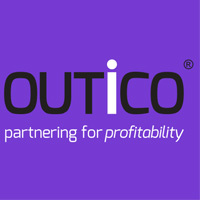 At OUTiCO we have spent the last 5 years refining our sales model and building our own database of HCP contacts. We are the first Multi-Channel Sales company in the pharma industry, communicating with Health Care Professional’s via their preferred sales channel, providing more HCP access options and opportunities. Our unique accessibility data along with the latest digital tools allows us to flexibly deploy exceptional sales professionals in Market Access, Secondary Care, Primary Care projects. As such we continually deliver excellent case studies that prove this model works and substantiates that ‘Multi-Channel’ selling is the future. To view case studies which prove that multi-channel account managers can outperform road sales representatives, click here to read or download.